The Club Cottages at Keowee Key are the newest (2007) townhomes in the community. 213 Night Cap Lane was custom built with many upgrades including a sunroom and bonus room. Everything needed for everyday living is on the main level--kitchen, living room, dining room, master bedroom and two guest suites, powder room and laundry room. The bonus room over the two car garage is ideally suited for an office, craft room or grandchildrenâs play room. The lower level is mostly unfinished, but studded in if you want to finish it. A portion of the lower level is finished into a multi-purpose room that opens on to the covered patio overlooking the golf course. The open floor plan of this luxurious townhome is ideally suited for entertaining and everyday living. With the exception of the bedrooms, the main level is finished in hardwood flooring. Countertops are granite and the ceilings in the living room, dining room and master bedroom are trayed. The deck, accessible from the kitchen and sunroom, has a spiral stairway down to the covered patio. 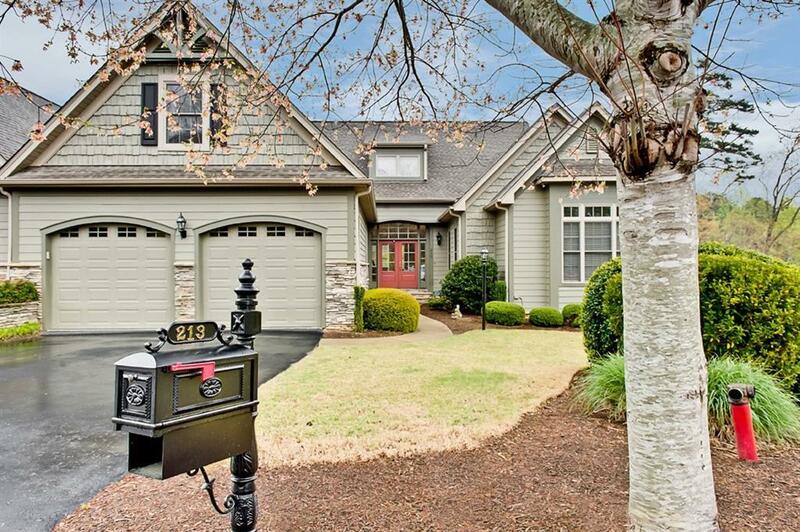 Both the deck and patio afford good views of the Keowee Key Golf Course. The Club Cottages is a community of 27 townhomes built in 2007 or 2008 of with a similar exterior look but all different interior sizes and finishes. Night Cap Lane is a circular street with a large common area with two water features and a large gathering shelter for social events. 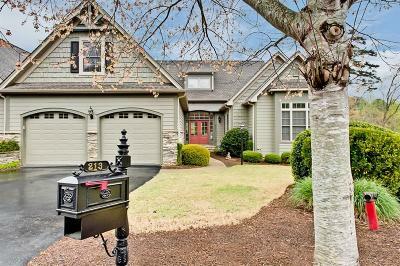 It is also located only a short walk from the Keowee Key Country Club, Event Center and Golf Course. This home's systems and appliances are covered by a 2-10 Home Buyers Warranty.